With growth of cities, the rapid development of industry, the intensification of agriculture, the significant expansion of irrigated land areas, the improvement of cultural and living conditions, and a number of other factors increasingly complicate the problems of water supply. The scarcity of fresh water is a world problem. The ever-increasing demands of industry and agriculture in water compel all countries and scientists of the world to seek a variety of means to solve this problem. Water pollution is a decrease of its quality as a result of the falling of various physical, chemical, or biological substances into rivers, streams, lakes, seas, and oceans. Water pollution has many causes. Mechanical – increasing the content of mechanical impurities, inherent in mainly surface types of contaminants. Chemical – the presence in water of organic and inorganic substances of toxic and non-toxic effects. Bacterial and biological – the presence in the water of various pathogenic microorganisms, fungi, and small algae. Radioactive – the presence of radioactive substances in surface or groundwater. Thermal – the release into the reservoirs of heated waters of thermal and nuclear power plants. Industrial wastewater containing inorganic and organic wastes are often descended into rivers and seas. Every year thousands of chemicals fall into the water sources, of which the effect on the environment is not known in advance. Hundreds of these substances create new compounds. Despite the fact that industrial wastewater in many cases undergoes cleaning, it still contains toxic substances that are difficult to detect. Domestic waste water contains, for example, synthetic detergents, which eventually fall into rivers and seas. Fertilizers that get washed off the soil surface fall into drains, leading to lakes and seas. All these causes lead to severe water pollution, especially in lakes, bays, and fjords. If water contains a great amount of suspended solids, they make it opaque to sunlight and thereby interfere with the process of photosynthesis in water basins. This, in turn, causes disturbances in the food chain in such pools. In addition, solid waste causes siltation of rivers and shipping canals, which leads to the need for frequent dredging. Also called hypertrophication, this is an industrial and agricultural wastewater which contains high amounts of nitrates and phosphates. This leads to a supersaturation of the closed reservoirs with fertilizing substances and causes an increased growth of the simplest microorganisms and algae, especially blue-green algae. But, unfortunately, it is inedible for most species of fish. The growth of this algae leads to the absorption of more oxygen from water than can naturally emerge in it. As a result, a biochemical oxygen demand (BOD) occurs. Plants and living beings can not survive in such an environment. However, microorganisms that are able to decompose dead plant and animal tissues are multiplying in it. These microorganisms absorb even more oxygen and form even more nitrates and phosphates. Gradually, in such a pond the number of species of plants and animals is significantly reduced. The most important victims of the ongoing process are the fish. Eventually, as a result of the algae growth and increase of BOD, lakes are aging and get swamped. This is called eutrophication. A classic example of eutrophication is Lake Erie in the United States. For 25 years, the nitrogen content in this lake has increased by 50%, and the phosphorus content by 500%. The reason is the entry of domestic wastewater containing synthetic detergents into the lake. Synthetic detergents contain many phosphates. Sewage treatment does not give the desired effect, since it allows the removal only of solids from water and only a small fraction of the nutrients dissolved in it. The discharge of industrial wastewater into rivers and seas leads to an increased concentration of toxic heavy metal ions, for example, cadmium, mercury, and lead. A significant part of them is absorbed by certain substances, and this is sometimes called the process of self-purification. However, in closed basins, heavy metals can reach dangerously high levels. The most famous case of this kind occurred in the Gulf of Minamata in Japan. Industrial wastewater containing methylmercury acetate was discharged into this bay. As a result, mercury began to fall into the food chain. It was absorbed by algae, which was eaten by mollusks. Mollusks were eaten by fish, and fish were consumed by the local population. The mercury content in fish was so high that it led to emergence of children with congenital malformations and deaths. This disease was called a congenital form of the Minamata disease. Also of great concern is the increase of nitrate levels in drinking water. It is suggested that a high nitrate content in water can lead to gastric cancer and cause increased infant mortality. The most toxic pesticides are halogenated hydrocarbons, for example Dichlorodiphenyltrichloroethane (DDT) and polychlorinated biphenyls (PCB). Although DDT is banned in many countries, it still continues to be used in other countries and about 25% of the amount used reaches the seas. Unfortunately, these halogenated hydrocarbons are chemically stable and cannot be decomposed by microorganisms. Therefore, they accumulate in the food chain. DDT can destroy all living organisms on the scale of entire river basins, and it also prevents the birds from breeding. In the US alone there are about 13,000 cases of oil leakage. 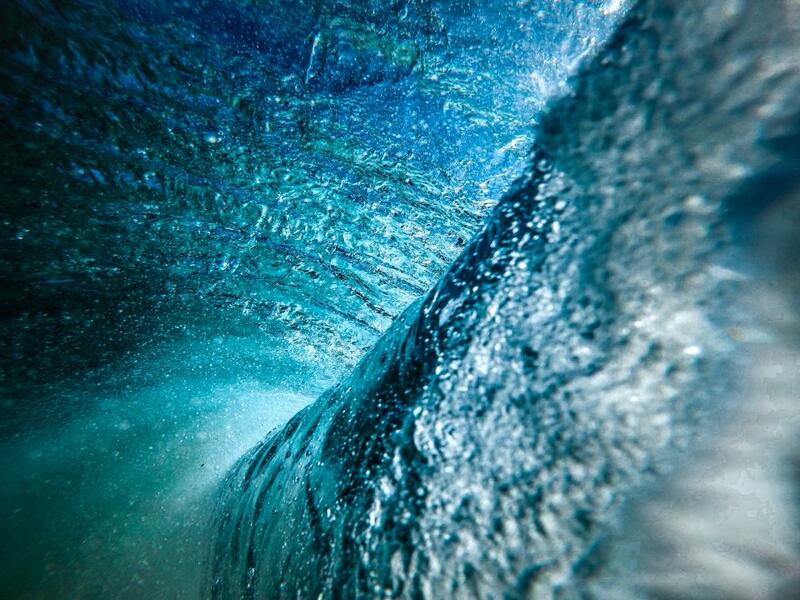 Seawater annually reaches 12 million tons of oil. In the UK, more than 1 million tons of used engine oil is poured into the sewer system every year. Oil spilled into sea water has many adverse effects on the sea life. First of all, birds suffer: they drown, overheat in the sun, or die of hunger. Oil disrupts feeding of water animals like seals and walruses. It also reduces the light penetration into enclosed water bodies and can raise the water temperature. This is especially harmful for organisms that can exist only in a limited temperature range. Oil contains toxic components, for example, aromatic hydrocarbons, which have a detrimental effect on some forms of aquatic life, even at concentrations such as several parts per million. “Environment: Nitrate Pollution of Water Still a Threat – Report.” Europe Agri, 7 Nov. 2013, pp. 13-15. Stein, Melanie. “Sprawl & Water Pollution: What You May Not Know about How Development Patterns Are Threatening Our Lakes and Rivers.” Conservation Matters, 22 Sept. 2004, pp.96-105. The text written above is a sample of a water pollution essay composed by one of our writers from WritingCheap. Please consider it as an example and get inspired instead of simple copying it into your paper. We make these recommendations to prevent you from falling into the “plagiarized essay” category. Also, check out Quick Tips for Writing a Great Environment Essay. If you have a lack of time or other reasons you can’t write your pollution essay, don’t be upset! A team of competent writers will create a unique essay of any kind by your due date. With the help of WritingCheap you will get prompt academic writing assistance for moderate prices. Make an order right now!